I live in DeKalb, Illinois, a town 60 miles west of Chicago, and I wanted to share our Good Food Scene. 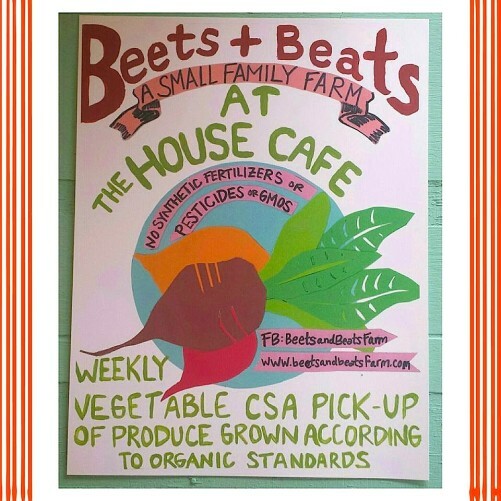 Beets & Beats of Sycamore, Illinois, is one of a growing number of Community-Supported Agriculture (CSA) farms serving the DeKalb area. I recently started a Facebook group called Eat Local DeKalb (we are now on Twitter, Pinterest, and have a webpage now), after our long-standing cooperative grocery store closed. I was worried how I was going to find the good foods that I had grown accustomed to getting daily. I didn’t want to search all over DeKalb County trying to find local eggs from healthy sources. Ironically, after I started this group, I did just that. My colleagues and I have been searching all over the county, and still do, trying to connect local producers and consumers. Our “Eat Local DeKalb” community continues to grow, and I am proud to be a member this great grass-roots movement. I would briefly like to share that we have a number of small farms that are working hard to grow sustainably within DeKalb County. 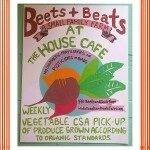 If you look at the listing on our website, you will find eight CSA farms serving DeKalb County. 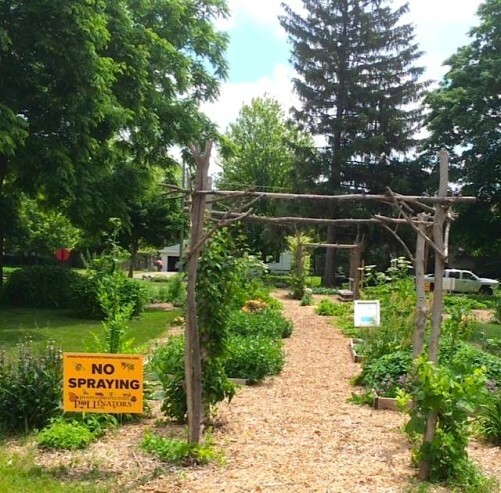 We are very proud of the efforts of the DeKalb County Community Gardens, a non-profit organization, that within three years has grown to farming 20 acres throughout the county. Jo Cessna, our Natural Cook, has recently joined forces with Kish Health Systems and the Community Gardens to provide healthy culinary classes for the community. DeKalb Community Gardens, a nonprofit group, is growing food in plots that cover a total of 20 acres across the county. We have farmers markets in four different cities that are connecting consumers to food. In particular, the Thrive Farmers Market in DeKalb allows residents to pay what they can afford for organically grown produce. We are seeing an increase in collaboration between local producers and food establishments. I love that I can go downtown to the local coffee shop, get a great cup of locally roasted coffee, and grab some veggies from one of our local farms. Unfortunately, this isn’t as common as we would like. But, as our community members continue to demand locally produced foods, I believe restaurants will look for ways to work with local producers. In the meantime, members of our community are working on bringing a Food Hub to the northern Illinois region, and individual citizens are buying collectively from local producers. Thank you for letting me share our Good Food Scene story. This entry was posted in Commodity agriculture, CSAs, Direct Farm Marketing, Farmers markets, Good Food marketing, Local Food, Regional food systems, Small Farmers and tagged Community Supported Agriculture, CSAs, DeKalb, DeKalb Community Gardens, Eat Local DeKalb, farmers markets, Good Food movement, Illinois, Kish Health Systems, Thrive farmers market. Bookmark the permalink.